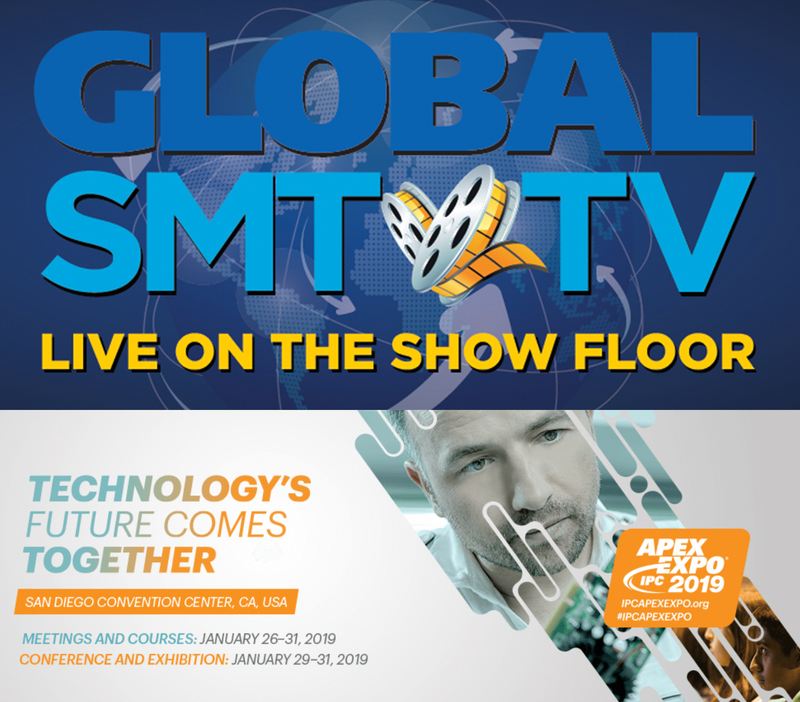 SAN DIEGO, Jan. 28, 2019 /PRNewswire/ — Intelligently integrating the physical and digital worlds to create ultra-customized Smart Factory Solutions for any size company and any size component, Panasonic will showcase technologies at the IPC APEX 2019 show that help customers cut costs, increase quality and efficiency at scale. NPM platform – Whether it’s the newest NPM-WX and NPM-WXS, which seamlessly integrate with previous models, or the NPM-TT2, NPM-DX, or NPM-W2 and NPM-W2S, this award-winning platform is based on flexibility. Each one can easily expand and evolve with changing manufacturing needs, and each can easily add new technologies as they enter the market, making them future proof. The NPM X-series is a 2018 Global SMT & Packaging Technology Award winner. PanaCIM Solutions Ecosystem – Ready for Industry 4.0 and feature rich, this manufacturing execution system software suite grows with a manufacturer’s needs and integrates to the cloud. It is developed in the United States and deployed and supported globally. PanaCIM Material Management, for example, closes the gaps in inventory, product, kitting, and material control in both the warehouse and factory environments. Process Tracker – From production to receiving, PanaCIM Process Tracker seamlessly integrates different factory automation systems for unified visibility and traceability of any product or process, regardless of mix or volume. PanaCIM Maintenance Management – Verify, modify, and predict asset’s maintenance needs throughout your factory. SPV and SPG – Want a reliable, high-speed screen-printing machine that reduces waste and cost of materials and labors? These eco-friendly machines are made for lean manufacturing. The dual screen version of the SPV-DC, for example, can deliver daily savings of materials and labor. At the heart of Panasonic’s innovative products and services is Cloud9, the SMT-focused innovation center located outside of Chicago. Each year hundreds of engineers and innovators visit Cloud9 looking for new, yet-to-be created solutions. Panasonic is a title sponsor of this year’s panel discussion on the Importance of Education. Panasonic’s Semyon Lazerson and Lam Tse will participate in the discussion, part of IPC’s Workforce Champions Program. Panasonic has long been committed to fostering the next generation of talent, particularly through STEM initiatives, which is essential to ensuring the industry has the skilled workforce it needs to continue to flourish. During the show, Panasonic will host students from six schools in the San Diego area at the company’s booth including the following high schools: Mission Hills, Otay Ranch, San Marcos, e3 Civic High, and North County Trade Tech. Panasonic experts will explain the leading smart factory solutions technology that draw on AI, cloud, and robotics technology. Through employee volunteerism, financial and in-kind support and through the Panasonic Foundation, the company has long supported education programs throughout the country.